Maybe it is the nature of summer that hardly a week goes by without finding an excuse to celebrate! Birthdays, engagements, baby showers, weddings… so many joyous occasions. During these balmy months, my favorite way to fete is with a Garden Party, be it at dusk with men in linen suits or at noon with ladies in gloves. Okay, well that might be a bit exaggerated, but I do adore a good gathering al fresco. 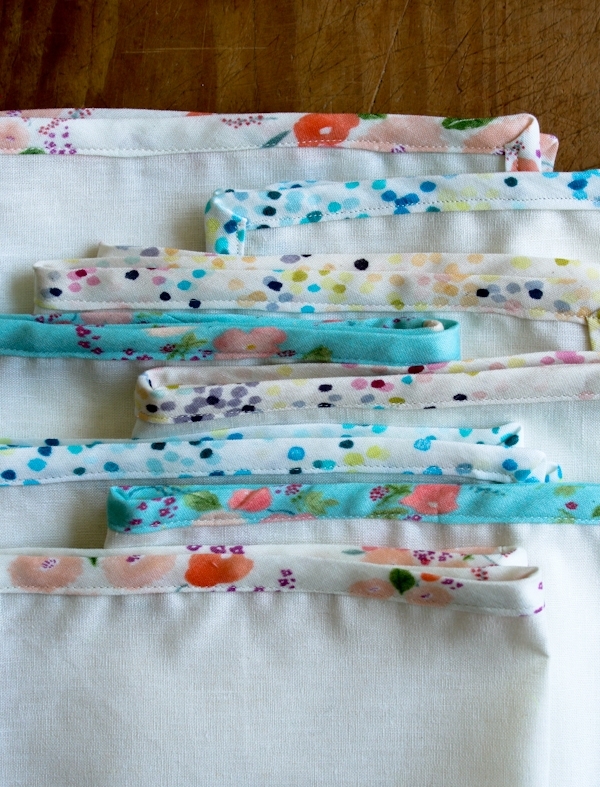 Nani Iro’s new Double Gauze Bias Tape screams Garden Party. With watercolor washes of color and whimsical patterns, these prints are right at home alongside the beautifully unruly gardens that inspired them. 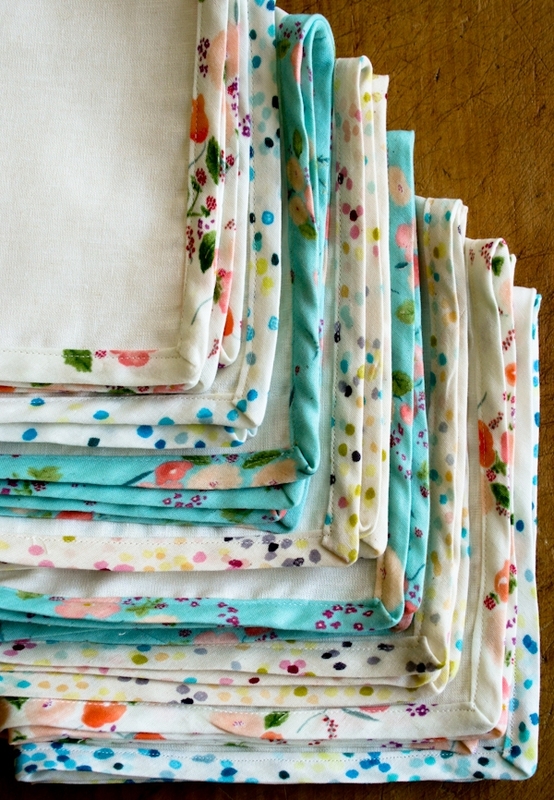 Pretty wildflower colors edging a crisp linen fabric make the perfect napkin for an outdoor table setting. And when setting the table, don’t forget the libations! 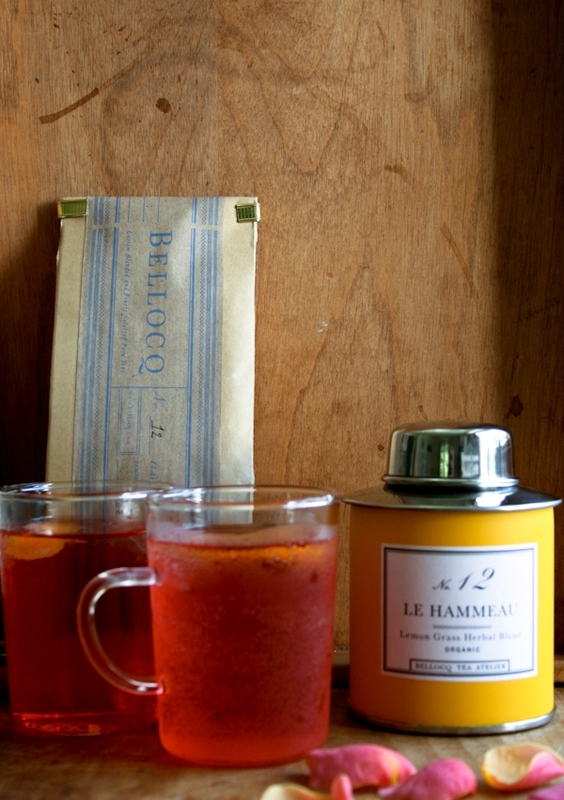 Our dear friends at Bellocq recently shared with us the perfect Garden Party cocktail recipe: Sparkling Le Hammeau. A refreshing and lightly bubbly treat, it will surprise your guests with its complex flavors and pretty rose color. 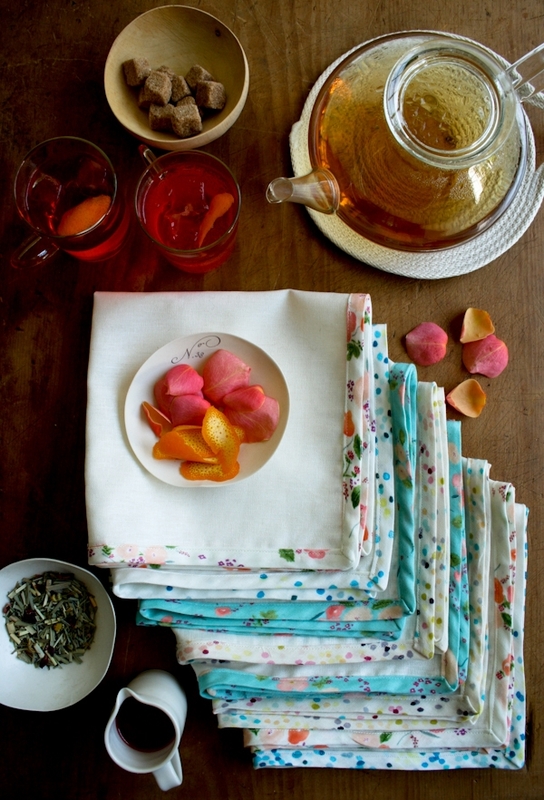 Both the napkins and the cocktail are a cinch to make and pack a punch of color and flavor. 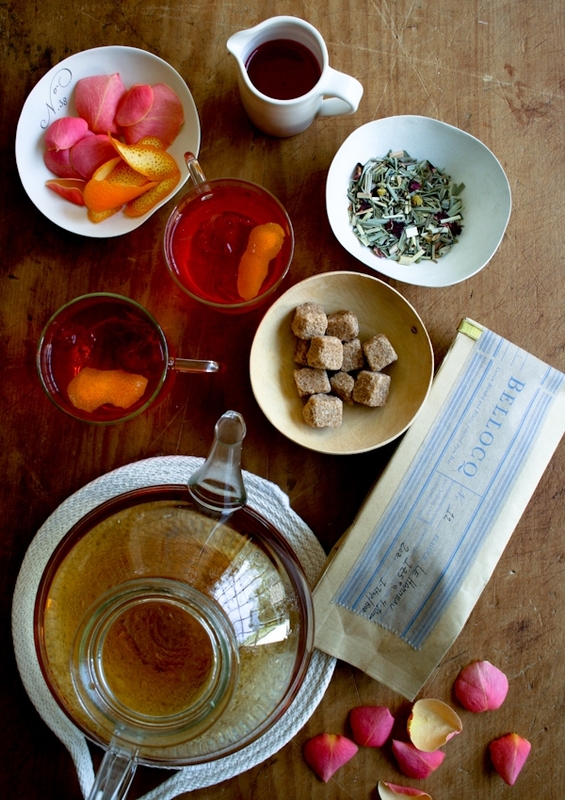 Whip up a set of napkins for a last minute get together or give them as a house warming gift paired with some delicious Bellocq Tea. 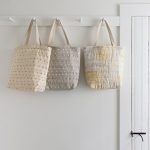 Below you’ll find the Sparkling Le Hammeau recipe, as well as a list of materials for making a set of Garden Party Napkins. 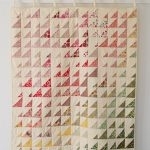 And for the free and easy sewing pattern, just visit Molly’s Handmade Napkin project journal right here! Put sugar cube, bitters, and rose syrup in a cocktail shaker; muddle to infuse. Fill shaker with ice, add tea and shake until cold, about 20 seconds. Put cocktail ice in a tumbler, strain tea mixture over ice. Top with prosecco. Garnish with orange rind. 2 yards of Robert Kaufman’s Essex. I used the color Bleached White. 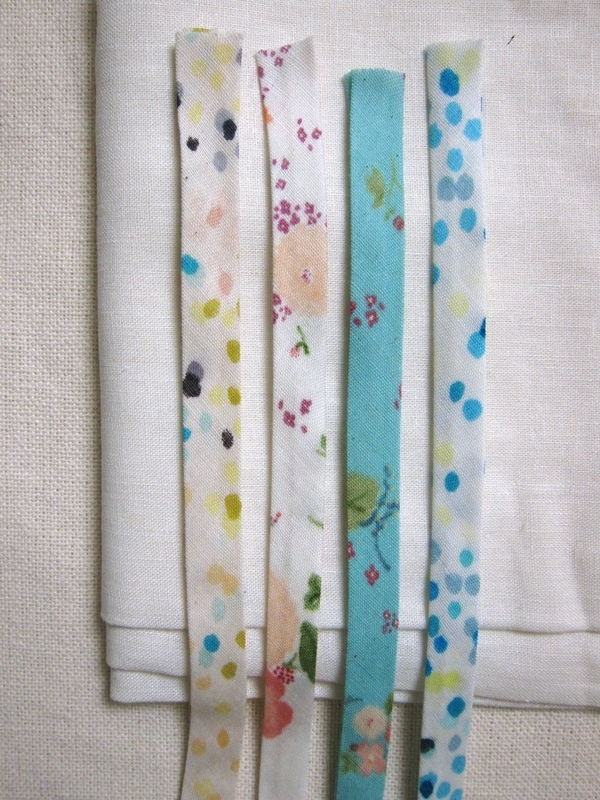 8 packs of Nani Iro’s Bias Tape. I used two packs of Little Letters in Aqua and in White and Melody Sketch in Aqua and in White. Cotton thread to match the bias tape. I used Gutermann‘s color 1040. As another option, with just 2 packs of bias tape and 1/4 yard of fabric you can make a set of six 4-inch cocktail napkins! 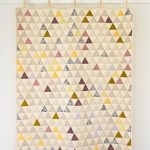 Purl Soho’s Tenth Anniversary Sale: 20% Off Everything! Your napkins look so pretty. I love the floral binding. I can just picture you in your garden setting sipping your cocktail as the sun goes down! these bowls used as props are divine! could you tell me who makes the white bowl with 'no. 38' written on it? thank you! They are so lovely I can see me and my daughter, drinkin' tea in our back yard! I must make some for us! are you going to post detailed instructions? Absolutely beautiful! Will you be receiving more of the bleached white Kaufman fabric? There doesn't appear to be any available on the website. Thanks for your comments. We will have more as soon as possible. If you'd like to be added to the list to be notified about the fabric when it comes in please send an email to our customer service department at the link below, and include in it the name of the fabric and the color. They can also let you know how soon we will expect the yarn to arrive. Where are the rest of the directions for the garden party napkins? Very creative and I think its not that difficult to do it. I just love to do some craft today. The bowl was made by our good friend, Asya Palatova, of Gleena. 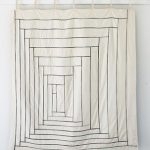 Here is her site. While it doesn't appear that she makes that exact bowl anymore, she does have similar pieces with numbers on them. Your link to the Nani Iro bias tape doesn’t seem to work. Do you still have it in stock?